Telangana State Co-operative Apex Bank Limited (TSCAB) has issued a recruitment notification to fill up Manager Scale and Staff Assistant posts. Candidates who are eligible and interested they can apply online mode before 19th August, 2015. 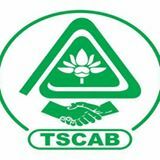 Candidates also check other details related to TSCAB Staff Assistant Recruitment 2015 like how to apply, selection process, model papers, previous question papers, syllabus and more details are given below.